If you are a homeowner, you are guaranteed to struggle with choosing THE perfect sofa for your home. You may think that you have an idea of what you want. Then you walk into the store and you are met with all different types and colours. Even shopping online and with all the options available, it can get overwhelming. I’ve been there but, no worries. Read on for tips on how to choose the right sofa for you. Whenever I am updating or renovating anything in the house, I think about the space. Is it large or is it small? Do you want lounge chairs, a sectional sofa, are you going to add a coffee table? Do you want it to be the focus on the room or a place to just lounge? If you have a small space, you’re more than likely to need a small sofa. 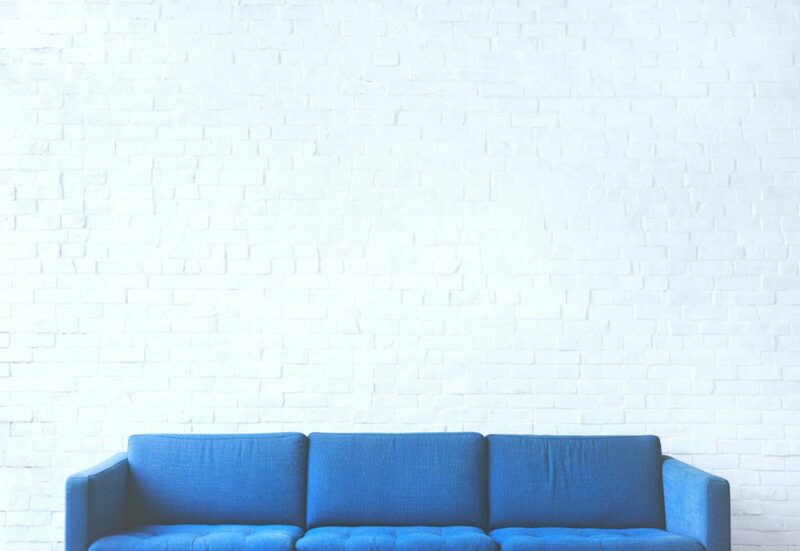 If you have a large space, you might need a larger couch and chairs to fill the space. I think this is the part where most people struggle. I think it all depends on how you plan to use the room. Is it going to be a place where people sit and enjoy quiet time? Will it be a space to lounge, entertain, and play? If you are planning to entertain, it is a good idea to make a circle or semi-circle around a table. If you will just be lounging, you can fill the space with lounge chairs and plenty of cushions to enjoy together or on your own. I find a sectional couch works great for entertainment areas. They are comfortable and large enough to host groups of people at a time. I think choosing the right type of material for your sofa is important. It depends highly on lifestyle and preference. For example, I have kids and as much as I love the aesthetic of a white suede sofa, it wouldn’t work for us. We learned that by buying a beige suede one. Even a black leather sectional didn’t work with pets in the home. You can even opt into getting your furniture upholstered with outdoor materials. That way, they will be resistant to whatever you throw at it. While it is always difficult to nail down your exact style, try to think about what jumps out at you when you see a living room. Do you appreciate a more modern look? Do you like something with character? Victorian? You may love patterns or bright colors. This is the chance to show off your style, whatever it may be. I love a modern farmhouse style and prefer natural woods and neutral colours. There are ways you can add a bit of colour but, don’t want to be too bold. You can use bright colour throw pillows or a funky print ottoman. It will bring life to any space! Sofas come in all different sizes and colours. They also come at all different prices. Before you decide to upgrade, decide how much you want to spend. Not to mention, once you buy a sofa, you are going to revamp or match your new sofa with accompanying decor. So, keep in mind to make a budget for the sofa and decor. After all the research you do about the size, price, and the material you want, you’ll be off to a good start. It should give you an idea of how to choose the right sofa for you. Check out easy ways to spruce up your fireplace or bookshelf. How do you choose the right sofa for your home? With the cost of everything these days you really have to do your homework before you buy ! Yes, and there are so many options.